Muktinath Darshan by Helicopter ride is one of the most popular way to visit the holy temple of lord Vishnu. Muktinath Heli Tour package is designed for those who do not have enough time for overland trail to Muktinath or foot trekking to Muktinath via Jomsom. Muktinath is a sacred temple located in mustang region and holds religious significance for both Hindu and Buddhist pilgrim. Thousand of pilgrim visits Muktinath every year as they believe taking bath in Muktinath will cleanse the sin of the lifetime. Muktinath helicopter tour starts from Kathmandu (TIA) and wings towards north ease towards Muktinath temple. This fascinating air voyage takes you to the wilderness area of Annapurna and Dhaulagiri region soaring over through the scenic valley, sub-tropical and alpine forest. You will be given 30 minutes time to enjoy the scenery, perform puja and take bath. Holding longer at elevation like Muktinath invite serious altitude threat. The exciting heli trip takes about 3 hours that includes 30 minutes of ground time. It is possible to conduct Muktinath helicopter yatra from Kathmandu and Pokhara city. Thousands of Hindus and Buddhist visits Muktinath temple to make their religious visit. 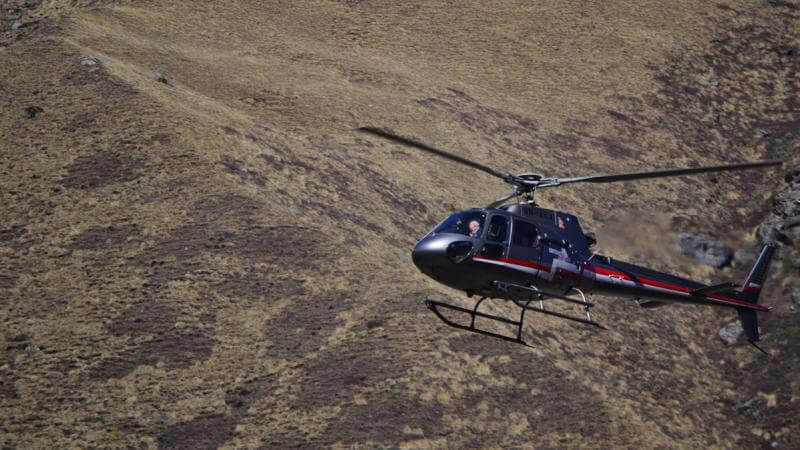 The helicopter tour cost to Muktinath temple depends upon the helicopter flight starting place. From Kathmandu it takes long time to reach the holy temple and from Pokhara it is short. So time of helicopter flight is the key factor for the helicopter cost. Likewise, the helicopter tour is on the basis of charter flight so, group sharing upto 5 persons is possible to share the total cost of the helicopter charter. If you have enough group to travel by helicopter, the price of the Muktinath helicopter tour will cost less.